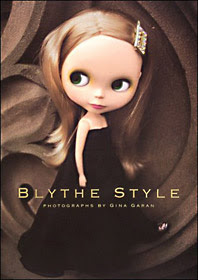 The first Blythe book by Gina Garan that helped launch the craze. 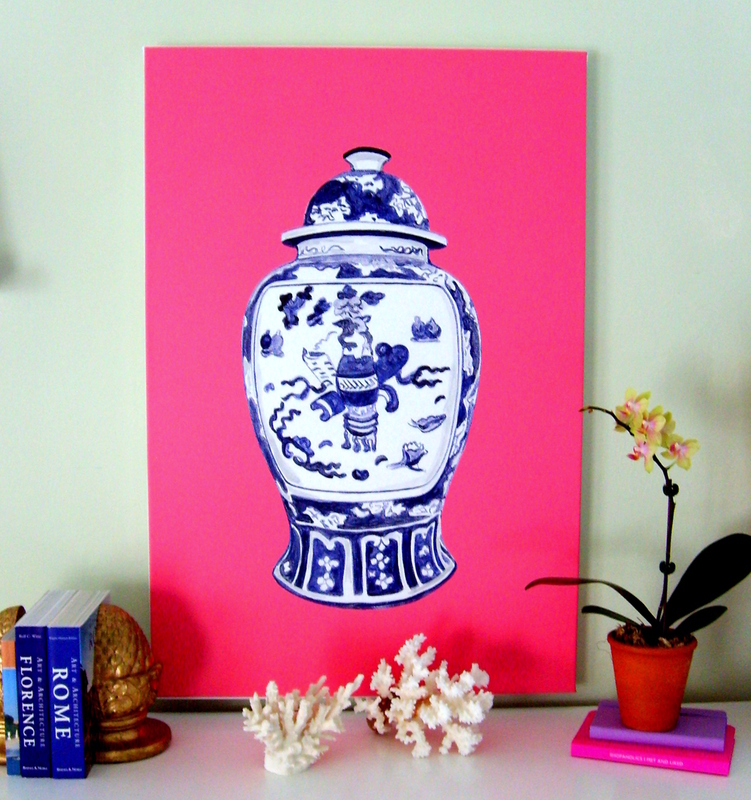 I couldn't resist this Spring-y, lively photo from Etsy seller Neuart. 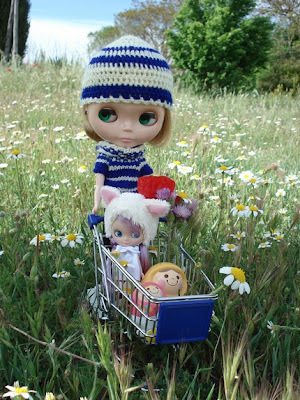 Chiky is based in Spain and makes clothes for Blythe dolls and then has these "photoshoots" with them. She is incredibly creative and super nice to boot! When she sent me the link to her Flickr site, I was amazed at her body of work. It just floors me how many interesting genres of art are out there. Couldn't you just see this blown up and hanging on the wall of a really hip New York loft? There's something delightfully quirky about these dolls and their clothes, etc. Blythe dolls were manufactured in the states for only a year back in 1972 by Kenner. Then, in 2002, the Japanese started making them again and in 2004 the American company, Ashton Drake Galleries, started producing their own version. These dolls have a kind of cult following and have regained popularity in this century with a new generation. There is even a "Blythe" Wikipedia entry. New York TV producer Gina Garan has photographed these dolls for several years and has compiled a book featuring her photography"This is Blythe" by Chronicle books, followed by another, "Blythe Style". This is just another one of those interesting art subcultures that exists out there, especially on the web, that I was not aware of. 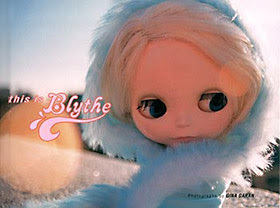 Does anyone else out there remember Blythe? 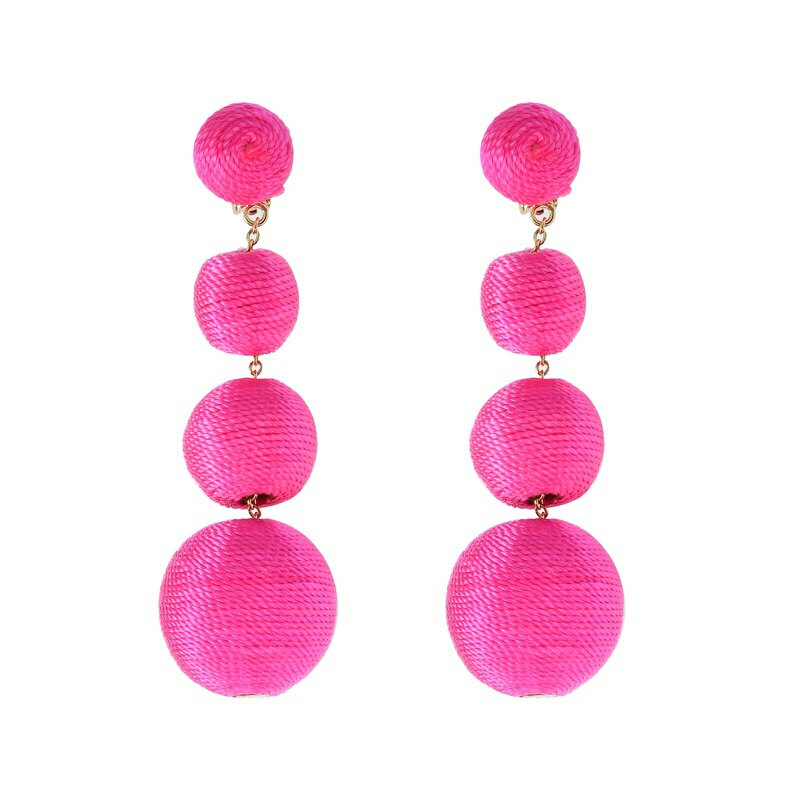 When I have a little girl someday I can get away with buying one of these and I will order a colorful knitted wardrobe for her from Chiky!! In "Blythe", "Chiky", "Gina Garan", "Neuart"